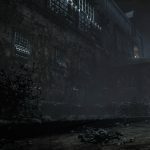 Remothered: Tormented Fathers began as bit of a passion project from Game Designer Chris Darril back in 2007. 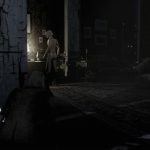 The game was intended to be a fanmade remake of the original Clock Tower, but soon became it’s own thing all together. 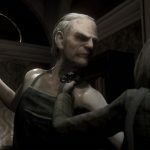 Momentarily put on the backburner after Darril was hired to work on NightCry, Remothered: Tormented Fathers is set to finally release sometime in 2017 on PS4 and PC, according to Darril and Stormind Games. In addition to a release window announcement, a new “announcement” trailer has been unveiled. A thrilling psychological plot – Thanks to his impressive direction, Chris Darril puts into play a story rich of complex life-like characters. Everyday people that turn themselves into scary monsters. You will be never safe – Your aim is to discover the truth, but you have to survive in order to do so. Your enemies are like obsessed stalkers always on your steps. No guns or powerful weapons – Just use what you find on your path. You can either react and fight or deceive the stalkers. But they will never give up or die. Increase your abilities – You will learn new skills and increase the ones you already have. Your body is the only way to understand how are you doing. No health meters here. Sound as your best friend and foe – Hear every single sound, you will notice your stalkers’ footsteps. The soundtrack composed by Nobuko Toda will alert you when your enemies are getting closer. No loading times – No empty moments or boring loading times. Enjoy the game and explore the mansion. Open a door and visit all the rooms. Everything will occur in real time. To run or not to run – Running will be your best chance to survive from a stalker on your back. But you have to be careful. Your noises can be heard. Sometimes, hiding is the best strategy. No silly puzzles – Just like the plot, the settings and the characters have been conceived to be analog to real life. Everyday people using everyday items can do the most dangerous things. 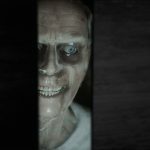 Fans of old-school survival horror games will relish the challenge and premise of Remothered: Tormented Fathers, but it definitely has its flaws.